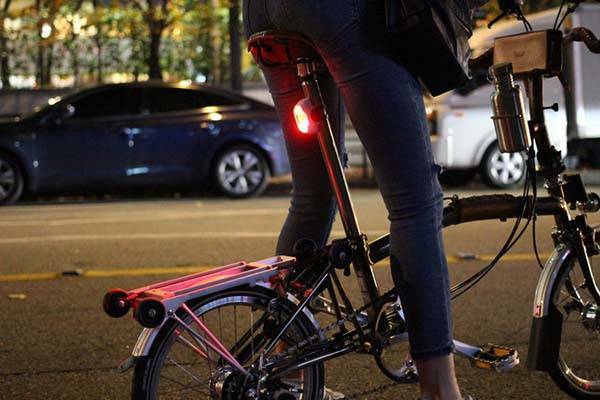 Rayo Bluetooth bicycle tail light not only makes you highly visible during riding, but also delivers customizable patterns and smart brake light. Need more features? Let’s continue checking. The Rayo is an advanced and versatile bicycle tail light that measures 2.83 x 1.38 x 1.67 inches and weighs 1.76 oz. 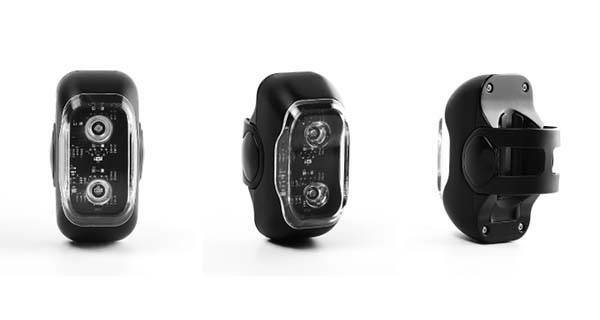 As shown in the images, the bike light sports a minimalistic and sleek appearance design, and the compact form factor allows you to easily attach it under the saddle of your bike. Meanwhile, five optional colors ensure it matches well with various bicycles, and the LED bike light is IP67 certified, which means it withstands the damage from dust and being submerged in 1 meter (about 3.3 feet) of static water for up to 30 minutes. The Bluetooth bicycle tail light comes equipped with three LEDs and two TIR optic lenses in order to deliver up to 90 lumen brightness, so it makes you highly visible even during daylight. Furthermore, its blinking patterns are customizable, so you can customize it based on your riding style, traffic, and weather conditions. Its group LED synchronization makes you and fellow riders stand out as a group by synchronizing flashing patterns. 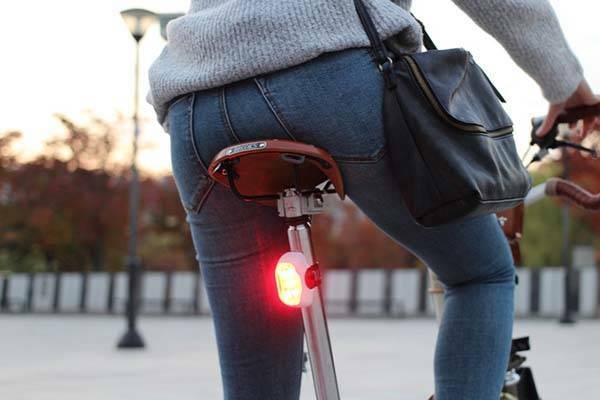 Moreover, built-in Bluetooth technology allows it to to wirelessly connect with your smartphone, so you can use its custom app to set and control the bicycle tail light. When theft alert turns on, you will get notified through the app if it detects any unfamiliar movement. In addition, built-in 1200mAh rechargeable battery offers up to 20 hours of use in low-power mode.